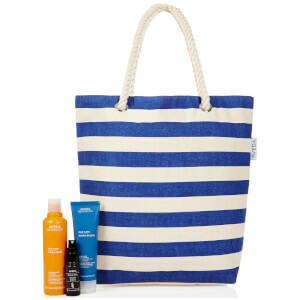 Summer-proof your locks with the Sun Care Set from leading organic skin and haircare label, Aveda. The three-piece set combines two reparative and protective best-sellers from the brand’s Sun Care range with a hair-texturising spray that delivers carefree tousled tresses for that “just came from the beach” look. An intensive cream treatment that restores, repairs and intensely moisturises sun-exposed hair. Formulated with hair-strengthening morikue™ protein, Tamanu Oil and certified organic Coconut Oil, the masque helps to restore weakened hair and replenish moisture for improved elasticity. Infusing locks with the delicate tropical aroma of Neroli, Ylang Ylang and wild-crafted Cistus, the nourishing cream delivers the anti-oxidising benefits of Aveda’s exclusive blend of Green Tea, organic Sunflower Oil and Vitamin E, which work in tandem to effectively protect hair against harmful aggressors including UV damage, salt and chlorine. A colour-safe formula that gently and effectively removes chlorine, salt and product residue whilst deeply moisturising sun-exposed hair and skin. Suitable for all hair types, the purifying and reparative formula is powered by a Corn-derived chelator and Babassu-derived cleansing system that works synergistically to neutralise and remove hair-discolouring minerals found in chlorinated pools. Permeating hair and skin with the same floral fragrance of the Hair Masque, the cleanser harnesses the ultra-moisturising powers of Tamanu and organic Coconut Oils. Aveda’s proprietary Sun Care UV Defense & Recovery Complex™ (which combines Green Tea and organic Sunflower Oil with Vitamin E) delivers potent antioxidants to ward off damage from the sun, salt and chlorine. A 94% naturally derived styling spray that helps create effortlessly tousled and textured tresses. Suitable for use on both wet and dry hair, the texturising spritz combines a unique balance of ingredients to enhance texture and hold. Epsom Salts add raw grip, whilst Cane Sugar hydrates and softens to leave hair touchably supple, never crunchy or dry. Providing flexible hold, the solution will help create effortless bed-head and undone styles, or beachy, tousled waves. Hair is left soft with improved texture and shine. Masque: Use after shampooing with Sun Care Hair and Body Cleanser. Apply evenly to damp hair, roots to ends. Leave in 2-5 minutes. Rinse thoroughly. 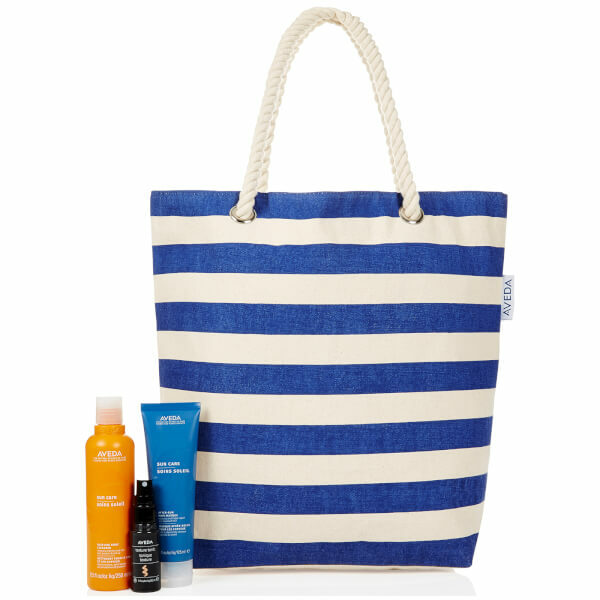 Use weekly or whenever hair is exposed to sun, salt and chlorine. 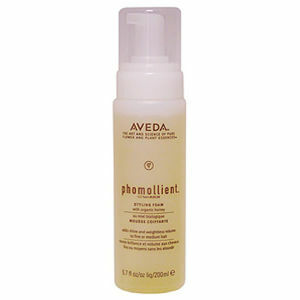 Texture Tonic: Use on dry or damp hair, applying from mid-lengths to ends. Air-dry or blow-dry. Hair Masque: Water/Aqua/Eau, Cetearyl Alcohol, Glyceryl Stearate, Stearalkonium Chloride, Glycerin, Helianthus Annuus (Sunflower) Seed Oil, Elaeis Guineensis (Palm) Oil, Dimethicone, Palmamidopropyl Trimonium Methosulfate, Hydroxypropyl Methylcellulose, Cinnamidopropyltrimonium Chloride, Cocos Nucifera (Coconut) Oil, Calophyllum Inophyllum (Tamanu) Seed Oil, Butyrospermum Parkii (Shea Butter), Hydrolyzed Brazil Nut Protein, Wheat Amino Acids, Camellia Oleifera Seed Extract, Tocopherol, Amyl Salicylate, Isoamyl Cinnamate, Fragrance (Parfum), Limonene, Linalool, Citronellol, Geraniol, Benzyl Benzoate, Citric Acid, Sodium Gluconate, Sodium Benzoate <ILN33077>. Cleanser: Aqueous (Water/Aqua/Eau) Extract/Extrait Aqueux:Aloe Barbadensis Leaf Juice, Sodium Coco-Sulfate, Decyl Glucoside, Sodium Lauroyl Lactylate, Babassuamidopropyl Betaine, Polysorbate 20, Oryza Sativa (Rice) Bran Wax, Dehydroxanthan Gum, Cyamopsis Tetragonoloba (Guar) Gum, Guar Hydroxypropyltrimonium Chloride, Glycine, Calophyllum Inophyllum (Tamanu) Seed Oil, Cocos Nucifera (Coconut) Oil, Helianthus Annuus (Sunflower) Seed Oil, Camellia Oleifera Seed Oil, Tocopherol, Maltodextrin, Fragrance (Parfum), Limonene, Linalool, Citronellol, Geraniol, Benzyl Benzoate, Sodium Chloride, Potassium Sorbate, Sodium Gluconate, Salicylic Acid, Benzoic Acid, Phenoxyethanol <ILN40434>. Texture Tonic: Water/Aqua/Eau, Magnesium Sulfate, PVP, Propanediol, Polysorbate 20, Saccharum Officinarum (Sugar Cane) Extract/Extrait De Canne A Sucre, Pullulan, Sucrose, Babassuamidopropyl Betaine, Glycerin, Sodium Chloride, Citric Acid, Fragrance (Parfum), Farnesol, Eugenol, Linalool, Citronellol, Limonene, Benzyl Benzoate, Cinnamal, Geraniol, Cinnamyl Alcohol, Potassium Sorbate, Phenoxyethanol.